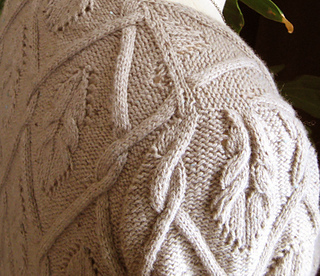 Also available as a knitCompanion design. 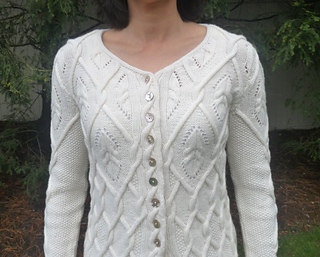 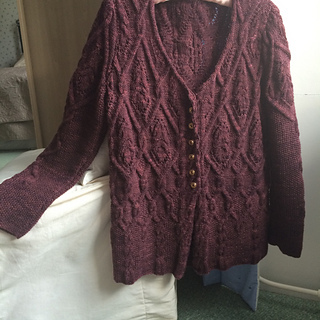 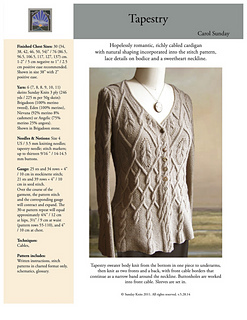 Lavishly cabled cardigan with natural shaping incorporated into the stitch pattern, lace details on bodice and a sweetheart neckline. 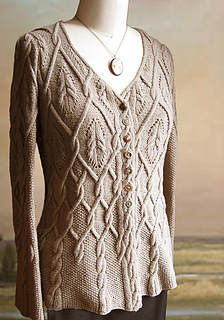 Sweater body is knit from the bottom in 1 piece to underarms, then worked as 2 fronts and back. 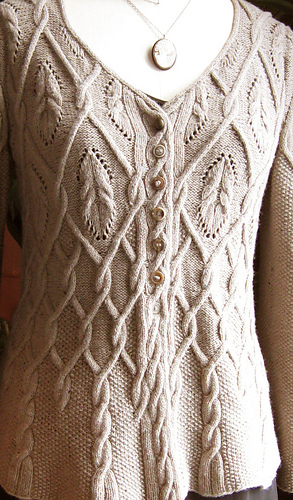 Front cable borders with knit-in buttonholes continue as a narrow band around the neckline. 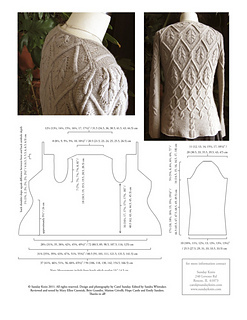 Pattern includes: Written instructions, stitch patterns in charted format only, schematics, glossary. 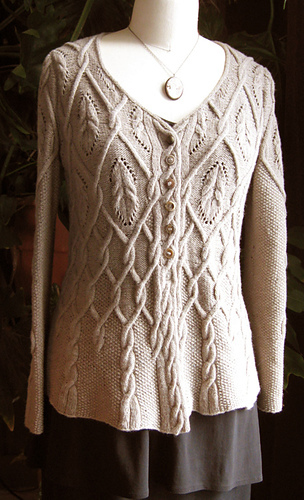 Traduction Française par Marion Crivelli.